We offer a range of bat surveys including Scoping Bat Surveys, Bat Emergence Surveys and Bat Licences. info Our surveys book up fast. Get a quote today to avoid delays. Sometimes called a preliminary roost assessment, scoping bat survey, initial assessment or walkover, this type of bat survey is done in daylight hours and therefore can be undertaken at any time of year. This survey is conducted at dusk and dawn and is seasonally restricted to between the months of May and September inclusive. It is sometimes required where bats, evidence of bat activity or habitat value is present at your site. Our bat surveyor, Jo working on site. On this page, you can find all the information you’re ever likely to need about you bat surveys and what happens next. And if for some reason you don’t, our friendly bat consultants are available to answer your questions. Questions like “what happens to my planning application if I have bats?” are asked of our team on a daily basis by people just like you, all across the UK. We know that bats might not have been in your game plan and the original costings for your project, so we do appreciate you’re a little worried about what comes next. Fortunately, our team have never failed to secure a planning consent for a client where bats have been found or are even suspected to be present at a site. 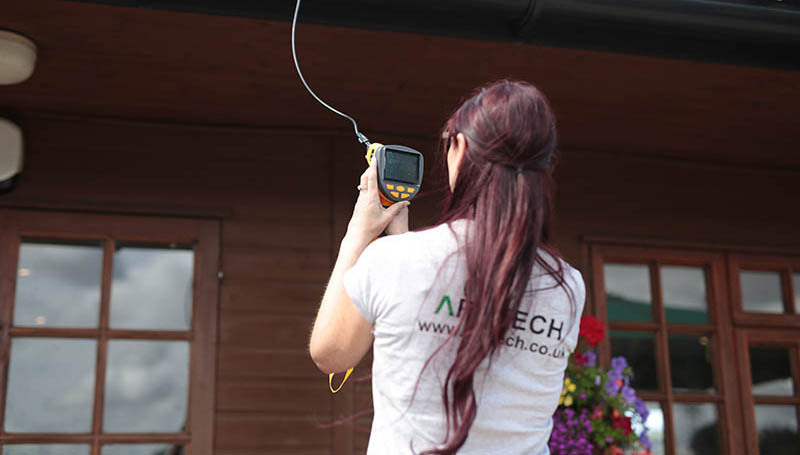 Of course, there’s a protocol to follow; bat surveys to be done, reports to be submitted to your local planners, and in some rare cases, protected species licences to be obtained… but that’s all in a day’s work for us here at Arbtech. With six fully licenced bat survey consultants, we have among the broadest and deepest bat expertise of any ecological consultancy in the country. In the UK we have 18 different species of bats and they are all protected by law. Bats live in places referred to as roosts. A bat roost can be found in a number of different places including caves, cracks in trees, lofts and barns. Bats like to set up their roosts where there is a safe place to hibernate, raise their babies and find insects and water to feed on. Bats have different requirements of roosts at different times of the year so they will often move around to find a roost that suits them. All 18 species of bat native to the UK are legally protected through their inclusion in Annex II of the EC Habitats Directive, which is enforced in England and Wales via the Habitats Regulations 2010. Disturbing bats or their roosts is a criminal offence. Therefore, if you’re planning to impact upon buildings, trees and or other potential roosting sites in the course of your development, however insignificant the impact may seem, you have a legal obligation to avoid disturbing bats as you do so. There is established case law supporting prosecutions for development disturbing bats, which twice has reached the Supreme Courts! When can a bat survey be done and how does it work? If either presence or evidence is positive, or there is medium to high potential for roosting, you will have to propose mitigation or habitat enhancements for bats in your planning application. 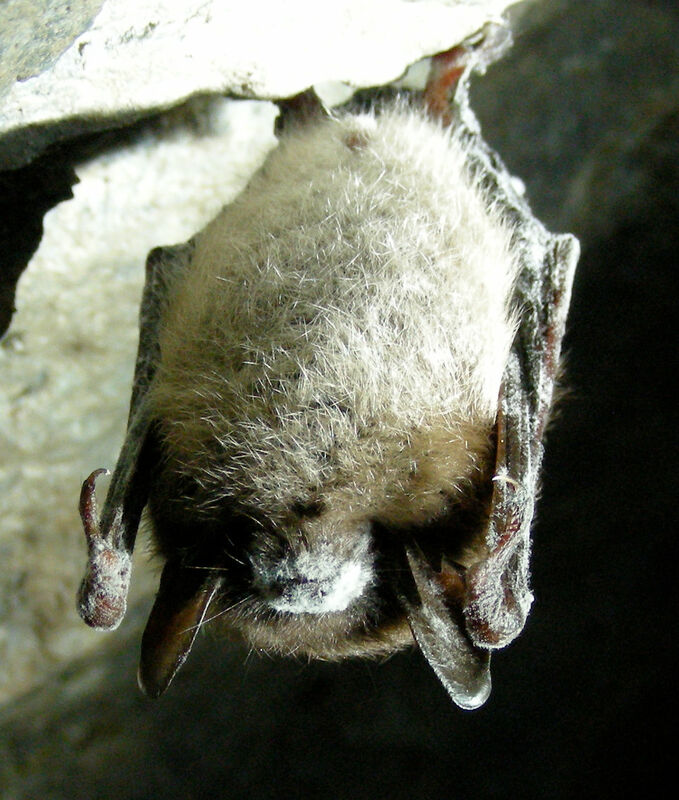 Without this mitigation, there would be a net loss of habitat—the cause of bat population decline that drove lawmakers to legally protect bats and their roosts in the first place. Obviously, it is not possible to propose mitigation for loss of roosting habitat if e.g. the species of bat, the population numbers, and the roost’s significance is unknown. To illustrate this point: it is much easier to mitigate for a single pipistrelle male—common throughout the UK—using your site as an occasional summer roost than say, a large maternity colony of a rarer species of bat. So it follows that the industry guidance for deciding on what mitigation is appropriate is to conduct bat emergence surveys (phase 2.) In the UK, bats hibernate during the winter months, when the insects they predate upon are less abundant. This means emergence surveys are limited to summer months, typically (though not exclusively) anytime during May through September inclusive. The bat surveyors use equipment that record and convert bat echolocation calls into sounds we can hear and interpret. Surveys are conducted either at dusk or at dawn when bats can be seen to emerge or re-enter a roost. In this way, our report can show, scientifically, that the mitigation you propose as part of your planning application is adequate and appropriate to the species and population of bat, and the actual use of the site. Typically, preliminary roost assessment prices start from £399+VAT, as they represent around a day’s work. Emergence surveys involve several visits to the site, at night, normally by at least two surveyors (so all angles of the building are covered.) This means that bat survey costs for the emergence survey are more expensive, typically costing in excess of £799+VAT as they represent around three or more day’s work. Looking for a cheap bat survey? We all want the best price possible for services we get and not only are our bat survey prices very low, but we have 13 years of experience doing this. If you use Arbtech, you’ll be guided through the process by the best in the business whilst getting amazing value for money too. Who can do bat surveys? Bat surveys must only be performed by a licenced bat consultant someone who is educated and trained to handle and disturb bats safely and has proven this to the powers that be. 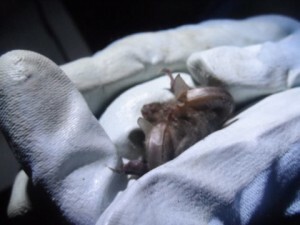 A license is issued to a bat surveyor by Natural England in England and the Countryside Council for Wales in Wales. These two bodies are known as Statutory Nature Conservation Organisations. The license essentially permits actions that would otherwise be unlawful e.g. disturbing bats—which you frequently do when visiting their roosts. Without a license, a surveyor must retreat if they uncover evidence of bat roosting, which is not much use to you, as the resulting report would be incomplete. Further, without a license the surveyor may be judged to be incompetent and so have their report disregarded by the local planning authority. Ask to see proof of your consultant’s ecological qualifications, training and most importantly, a science and conservation licence (class 1 or better) for bats, issued by a SNCO. Professional Indemnity insurance of £1m wouldn’t be a bad thing, either. On some occasions, if you have a bat survey done which shows that you have bats and you need to destroy a bat roost as part of your development, you will require a European protected species license from Natural England. The EPSL process is a separate process that can take up to six weeks. We can help with this process and have an outstanding record of getting EPSL applications approved. Get a scoping bat survey done. If you need to, get the bat emergence surveys done. Apply for an EPSL if applicable. 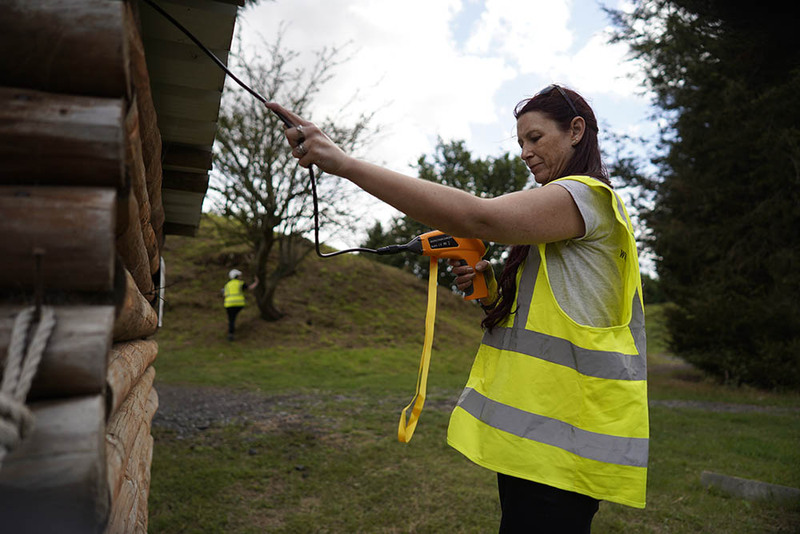 Unlike other bat survey providers, we only undertake planning and development related work, so our bat experts skills are not diluted over a multitude of disciplines and sectors. We care the most about what matters to you: getting planning permission via the path of least resistance. Do I need a bat survey? If you are carrying out works that could disrupt or harm bats and your local planning authority has asked for a bat survey then you will need to carry out a survey. Typical projects that we are asked to supply bat surveys for are barn conversions, demolition, extensions and tree removal. Because bats move around frequently, bat surveys are only valid for a certain amount of time. Each planning authority will have different time frames but all bat surveys will be valid for at least 12 months, and usually up to around 24 months. How do I know if I have bats? Sometimes, it may be very obvious if you have bats. They can often be seen flying around during the summer months. However, just because you can’t see them, it doesn’t mean you don’t have bats. Licenced ecologists are needed to find out for sure. They use specialist equipment and knowledge to look for evidence of bats. They can often be found in places you would never expect such as gaps in a roof that you didn’t know was there. I definitely don’t have bats. Do I still need a survey? Yes. You will need a licenced ecologist to determine if you have bats or not. Many people are convinced there are no bats on their property until a proper survey is conducted which shows bat activity. Bats are protected in the UK because human activity has seriously lowered the number of bats. Much woodland in the UK has been cleared for housing and development, meaning that many bats are now forced to roost in man-made structures. Is it illegal to kill a bat? Yes. All UK bat species and protected by the EC Habitats Directive, which is enforced in England and Wales via the Habitats Regulations 2010. It is also illegal to disturb bat roosts. We have hundreds of genuine 5 star reviews on our website. Here’s just one example of feedback on one of our bat consultants given after a project we worked on recently. A very smooth process which was undertaken by Louise providing us with exactly what we required. We will certainly be using Arbtech again in future. Some surveys can only be done at certain times of the year. Take a look at our calendar to find out more.